The power of networking has evolved over time. There once was a time where people would interact in person but now it can be done through a simple gadget an app. Social media has grown on such a large scale over the past few years and seems to be the easiest way to connect with someone now. This growth is very contagious and there are so many people in Fiji who have also downloaded these apps. There are over 50 types of social media apps and websites for Android devices, Windows, and IOS devices. Some apps like Facebook and Twitter have come to the forefront. 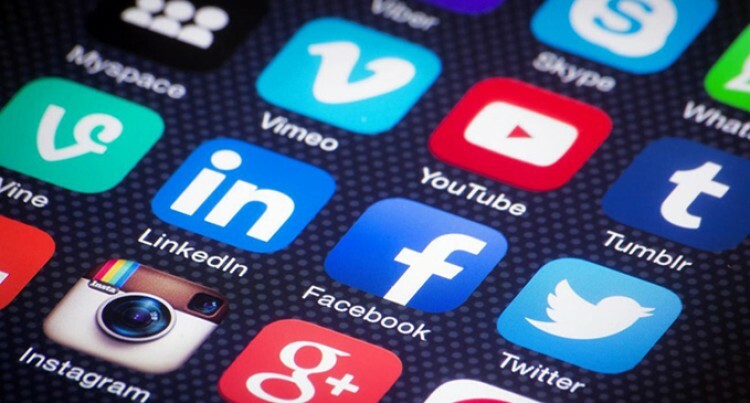 In this week’s Tech World we will take a look at some of the top social media apps . The must have for everyone. It is amazing how many people are not spending a lot of time of Facebook but still download it. Facebook is an app centered around networking on a personal level. This is through the sharing of photos, feelings (status), links and videos. It was developed by Mark Zuckerberg on February 4, 2004. Twitter is considered one of the most simplest and strongest social media. This is due to the ability to freely advocate issues and create discussion on a large platform. Twitter is amazing and interesting. It allows you tweet something in 140 characters or less. The navigation and set up for Twitter is very easy and for first timers it is very easy to learn and start tweeting. Pictures, pictures and more pictures! If you love capturing images on every turn in the road and Instagram is the suited app for you. You can connect with people through images. Then one of the best features of the app – you can then share it to Facebook, Twitter, Tumblr, Flickr and Swarm. Basically you take a picture, filter it and upload. This is a very unique platform from other social media. Tumblr basically allows you to blog continuously through images, short videos, links, memes, GIF’s and other viral content. Tumblr is linked to other platforms as well like to Facebook, Twitter, Flickr, WordPress and Swarm. There are limited designs and themes for a little more experienced bloggers. This app is truly a distress and laughing opportunity! You can share and view brief video clips of anything. Vine’s focus is entertainment based but still offers a range of products. You can share other people’s video and again link it to any social media platform. Addiction is real when it comes to Snapchat! This app gives you the ability to take a picture, add text or art and send it off to a number of people or specific people. But the fun thing is that when you send the picture you can chose how long a person can have a look at it and after it is viewed the picture is deleted. Let’s combine the best of Facebook and Twitter and get Google+! Yes, that would be the best description of what the app is about. You can add new content; highlight topics with hashtag and even separate contacts into circles. The app also links with other social media platform. Google+ is powered by the world’s largest search engine, Google. The famous video sharing service, YouTube has become so popular over the years that it caters for billions and billions of videos daily. The app is somewhat known as “the world’s second-largest search engine” in some circles. PIN-YOUR-INTEREST! So basically what you like you save it to a wall by pinning it. The app varies from pictures to ideas to creative thoughts, or projects and more. You can also follow other people’s board and others can follow yours. So there is great interaction. This is probably the only mainstream social media app that is focused towards businesses. LinkedIn is strongly focused on networking. It’s great for meeting customers, getting in touch with vendors, recruiting new employees, and keeping up with the latest in business or industry news. Spam is a growing concern.